In 1969, Finland was fast becoming urbanised and the population moving into cities needed apartments. Kojamo, named Valtakunnallinen vuokratalo-osuuskunta at the time, was established as a result of this demand. The company built housing for tens of thousands of new city dwellers, for whom central heating and running water represented unprecedented luxury. “We are now at a similar turning point as we were 50 years ago,” says CEO Jani Nieminen. “Instead of refrigerators, electric ovens and running water, the integration of various services with housing has become an integral and novel part of today’s living experience. For better urban housing, ease and convenience rise to a whole new level when apartments are integrated into city infrastructure and are no longer just sets of walls, ceilings and floors with the standard fixtures. While a tenant makes their apartment a home, we wish to offer them added value services, making their everyday life smoother. In the future, some housing services may be charged on a monthly basis and some based on usage, just like services such as Netflix,” Nieminen adds. Finland is becoming increasingly urbanised, and apartments in growth centres are in high demand. Kojamo has responded to this demand by investing EUR 2 billion in Lumo apartments over the past five years, the single largest investment made in housing in Finland. The newly listed company is Finland’s largest real estate investment company in terms of the fair value of its investment property. Kojamo has busted many myths in the industry and made choosing and renting an apartment easy with its unique Lumo webstore. In this way, the company has responded to the growing trends of urbanisation, servitization and communality. The web store is very popular with our customers, and the record of 10,000 rental agreements made online is likely to be broken before next summer. “We are serving our customers by offering better urban housing and innovative services. During our anniversary year, we will further enhance our service development as we aim for the best possible customer experience in the housing sector. Our staff’s will to succeed and courage to create new services will ensure a smoother everyday life and comfortable homes for our customers,” says CEO Jani Nieminen. Today, we are making Lumo homes more comfortable and convenient with various smart solutions. The heating in our 26,000 Lumo homes is regulated by an AI system according to weather forecasts. Last autumn, Kojamo implemented an AI heating solution for its district heated properties. The solution provided by the Finnish company Leanheat automatically adjusts heating according to the actual temperature inside the apartments as well as the weather forecast, preventing excessive heating and helping property owners regulate the balance between apartments more accurately than before. The Leanheat solution is a good example of the corporate responsibility that Kojamo’s operations are founded on. Since 2016, all Kojamo’s own construction projects have been for nearly zero-energy buildings (nZeb). A total of 800 nearly zero-energy apartments have been completed, and 1,037 are currently under construction. 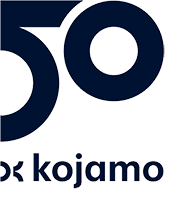 Partially funded by the European Investment Bank, Kojamo will contract the construction of a total of 3,800 apartments by the end of 2020.